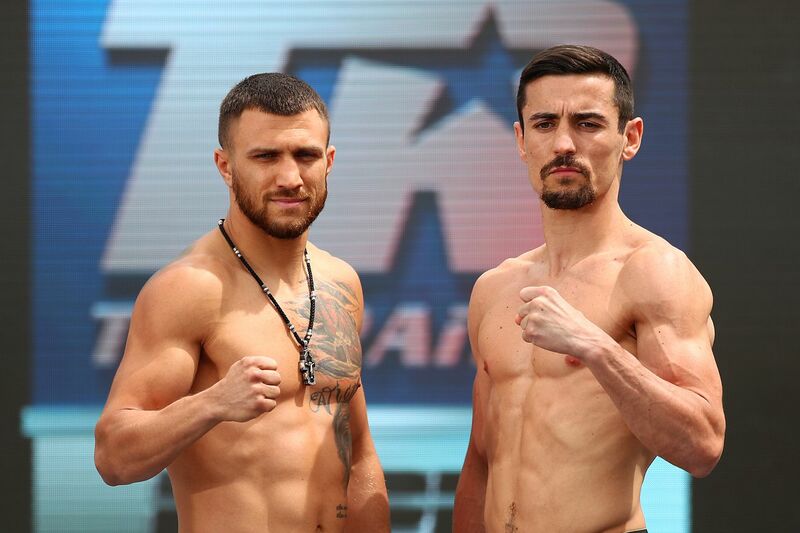 Get your full fight coverage right here for the lightweight championship fight between reigning WBA and WBO titleholder Vasyl Lomachenko (12-1, 9 KOs) and former WBA champion Anthony Crolla (34-6-3, 13 KOs). The card takes place at Staples Center in Los Angeles, California on Friday, April 12th. The card airs live on ESPN+ at 11 PM ET/8 PM PT, and on Sky Sports in the UK.